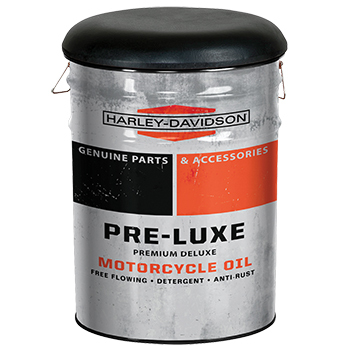 H-D™ Pre-Luxe Bucket Stool looks great and is super functional. Steel barrel construction with distressed motor oil graphic. Removable padded seat offers extra storage space.